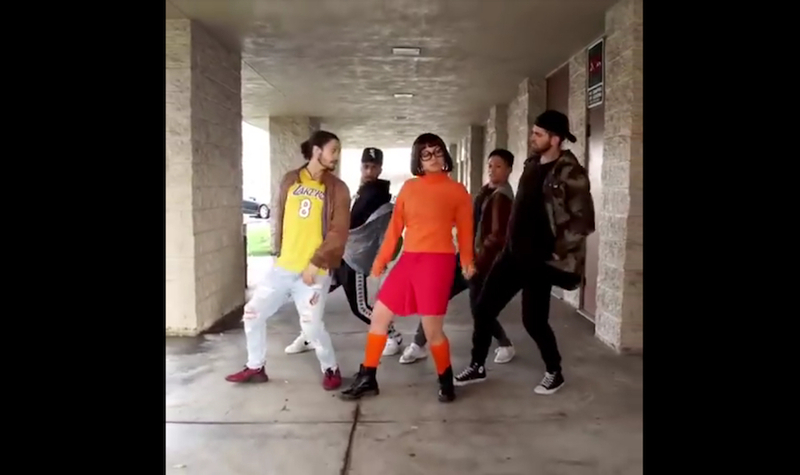 VIRAL ALERT: Scooby Doo Pa Pa Dance Craze! Remember the "Gangnam Style" and the "Harlem Shake"? Of course you do. Well, now there’s a new dance craze inspired by DJ Kass's "Scooby Doo Pa Pa" that is going viral! The song was released in September of 2017, but it wasn’t until Lele Pons and Inanna Sarkis uploaded their dance routine of the catchy song on Instagram that now people all over are uploading their own versions. Lele and Inanna are dressed as Velma and Daphne of the original "Scooby-Doo" series and it has been seen almost 27 million times! This phenomenon has exploded in social media with people posting their own versions of #Scoobydoopapa around Latin America, and it recently just took the United States bby storm! This new dance sensation does not have an exact choreography. This is why people have decided to make their own choreographies to the beat of the song. Do you have a "Scooby Doo Pa Pa" dance? Show us your vids on Twitter!